Closca Bottle + App | Redefining How You Drink Water. 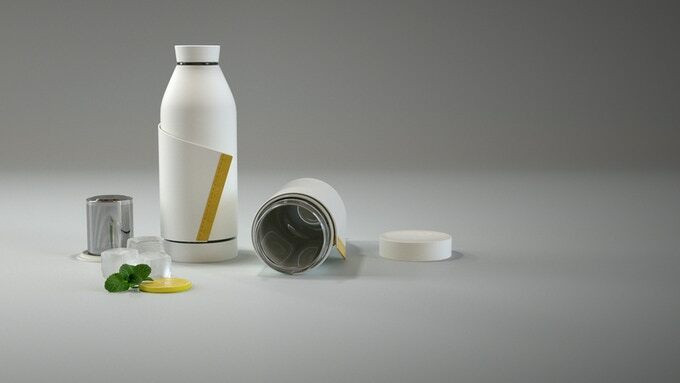 This beautifully designed and engineered bottle is perfect for any lifestyle. 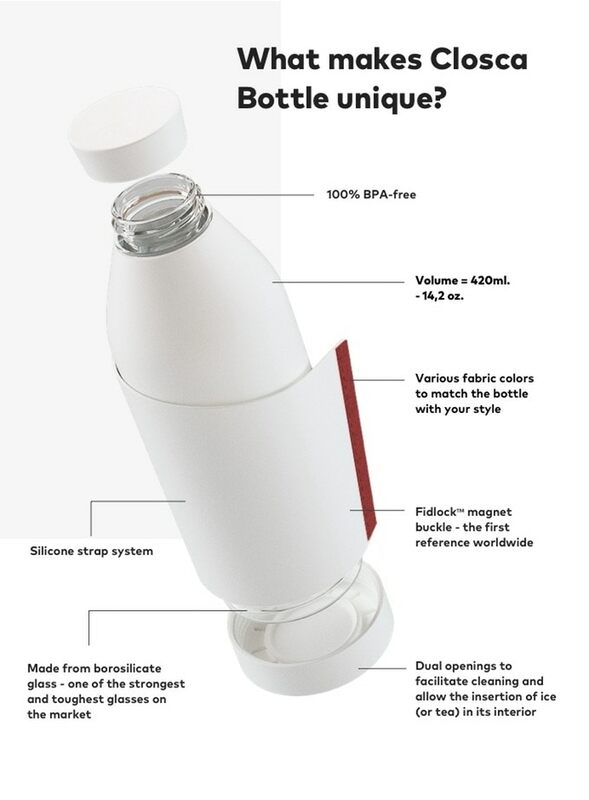 This beautifully designed and engineered bottle is perfect for any lifestyle. Go to Kickstarter for further information and to get your own Closca! Its innovative silicone flap attaches to your backpack, bike or stroller, making it the perfect fashionable accessory, while the accompanying Closca Water App helps you locate places where you can refill your bottle for free. Stretch the silicone cover and hook it easily to the magnetic closure. Patented Strap System. To open it, gently stretch and release the magnetized FidlockTM. Add ice, herbs, or fruit to your bottle for a healthy, refreshing drink. Complete your bottle with our original accessories, like a filter for tea or coffee. Use the Free CLOSCA Water App to help you locate the closest places where you can refill your water bottle. Strap your bottle to a bike frame and ride! The fidlock buckle makes strapping your bottle easy and accessible when you need it. The Closca bottle has a dual opening to facilitate cleaning and to allow easy access for ice or tea. The Closca bottle is easy to clean. You can wash it by hand or use the dishwasher.